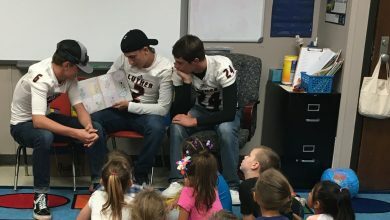 The trip to Norman for a Thursday night Lions football matchup against The Community Christian Royals, ended in defeat but not without a fight for the second game of the season. 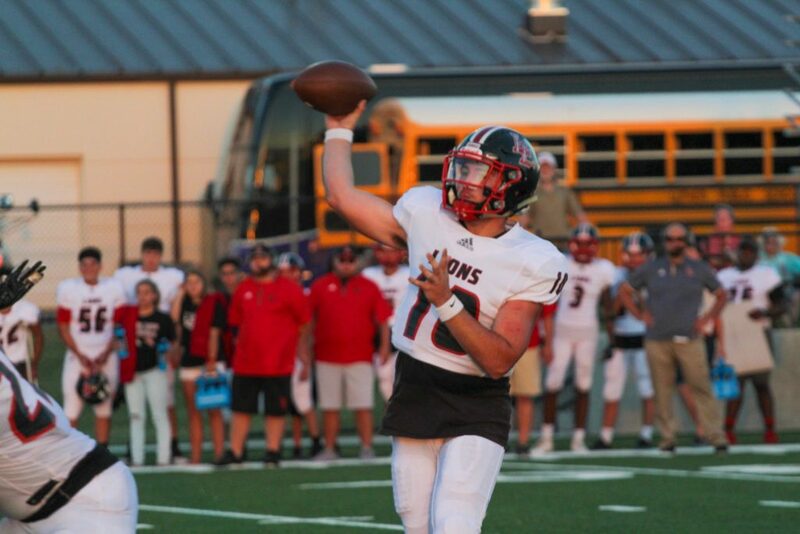 In the fourth quarter, quarterback Peyton Wilson ran the ball in for two touchdowns, to make up lost ground. It wasn’t enough; the Lions lost 49-28. 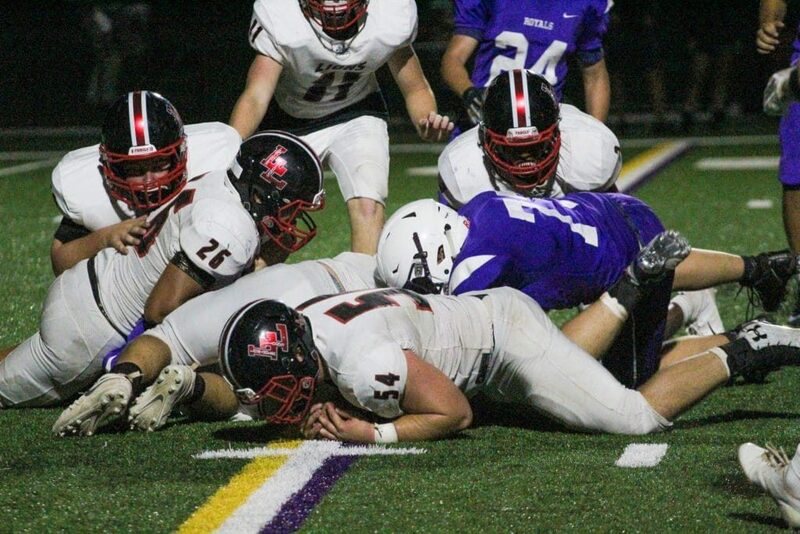 Two passes to Cole Mills brought the Lions to the goal line for Wilson to push through the offensive line for the first touchdown. In the next possession for the Lions, Coleman Stastny caught a 28-yard pass, but the Royals intercepted the next pass and scored. A personal foul on the Royals kept the touchdown from counting. 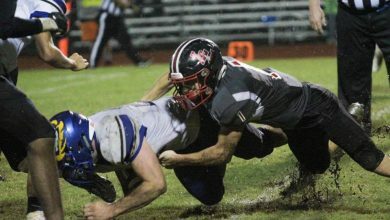 A tackle from defensive lineman Jackson Brown kept the Royals from scoring. The game was previewed during the Friday Night Wrapup podcast with Coach Zack Smith and Mitchell Talks. In the third quarter, Reed Wilson made a tackle during the Royals’ first possession, one of his ten tackles. In that same possession, Lions newcomer Gerald McCauley also had an impressive tackle; racking up nine for the game. 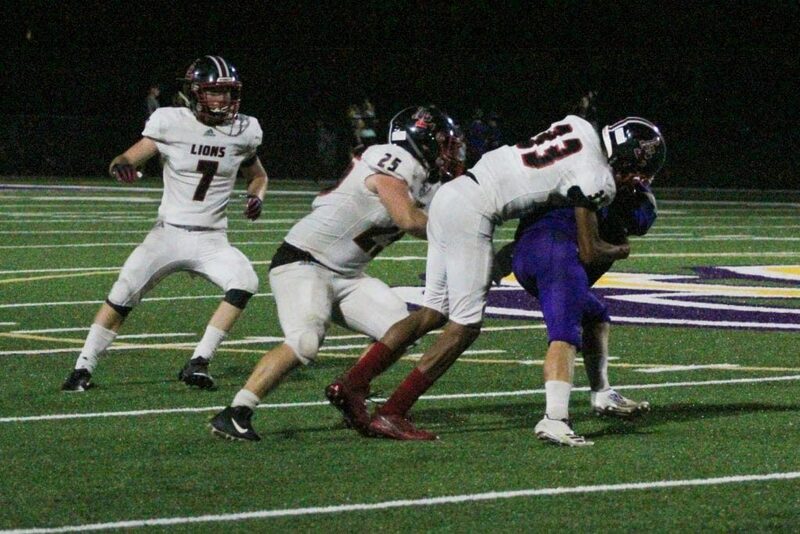 But Colbey Chartney led the Lions in tackles with 11. Coleman Stastny stiff arming on punt return. Back on offense, Drew Scheer ran a 54 yard touchdown after a long pass from Peyton Wilson. After the kickoff, Aidan Maley stopped the return at the Royals’ 28-yard line. The Lions defense kept the Royals from going into Lions territory, but on offense, they couldn’t make it downfield. An amazing punt from Scheer went out of bounds at the Royals five-yard line, and the Lions defense kept them in the area to halt a score. When the fourth quarter started, the Royals punted to Stastny who made a stunning run, getting out of many tackles, which led to Peyton Wilson’s 30-yard touchdown carry. 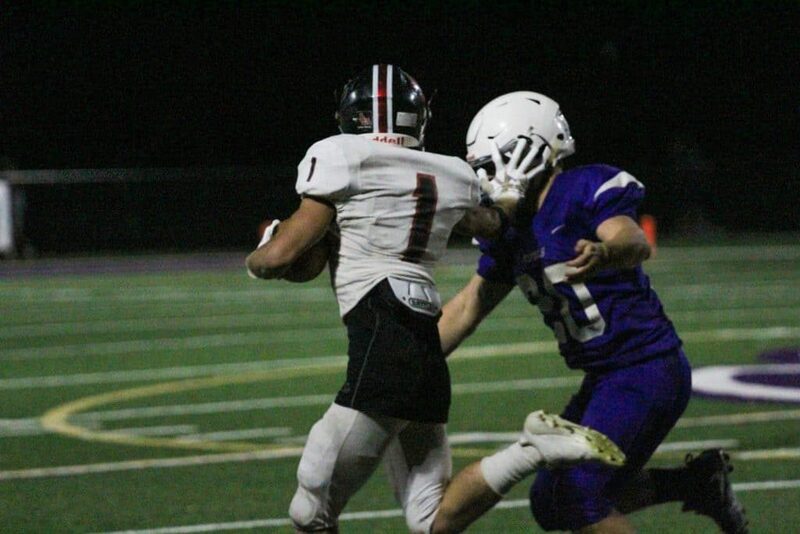 On defense, McCauley made an impressive tackle in the backfield, and then he managed to strip the running back of the ball so Chartney could recover it for a turnover. Frederik Greenhoward with a tackle. 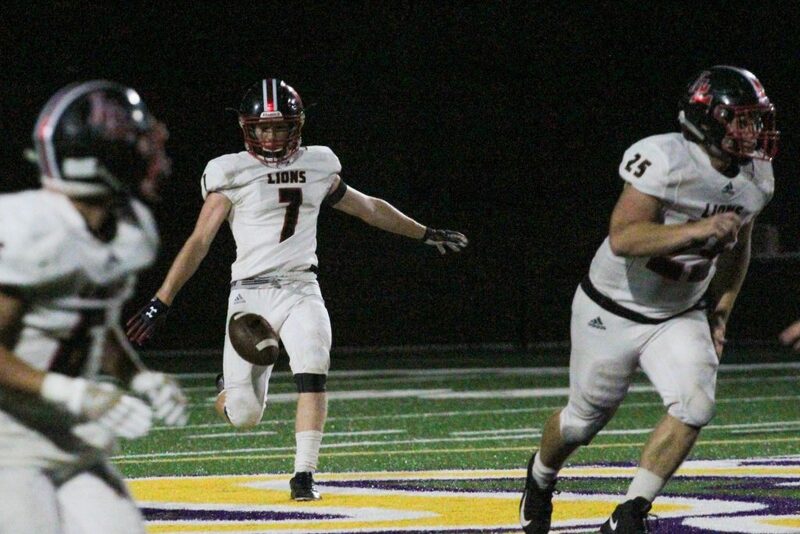 An 18-yard pass to Mills put the Lions on the goal line, and Peyton Wilson ran it in for the Lions final touchdown. The Lions are off next week, then this first home game is against Prague at Wilson Field on September 14. The first district game is September 21 against Newkirk. 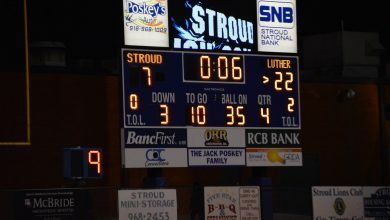 It’ll also be Luther Homecoming.